The System Audit Report is a pulled from a database of activities that have happened in the monitoring system. This data is collected and stored automatically - nothing needs to be configured. 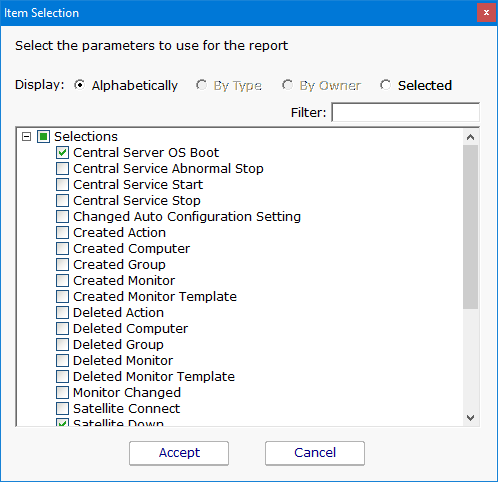 The report is located at [System Summary Reports] > Monitoring System Audit. Configuring the report is as simple as choosing a date range, and the type of events you would like to see.